Will the Undertaker ride off into the sunset in 2016?As the WWE welcome 2016, they have also consciously ushered in a new era. All the championships are held by new blood and the most tenured current champion in the company is Kofi Kingston who made his debut in 2008.Though the WWE has excruciated fans with old timers coming back to hog the limelight at major PPVs, this might be clear indication that the company is finally ready to invest in youth. This could lead to the retirements of a number of the older WWE superstars this year.‘Please retire’ chants have been aimed at the Big Show in recent months and while he has been with the company for over 15 years, he still has at least a couple of years left in the tank.Daniel Bryan might not get a WWE doctor’s approval to return to the ring, but he has made his intention of wrestling at another promotion clear if he is not given the chance to step in to the ring.This list takes a look at three of the current WWE stars who might not wrestle beyond 2016. Have wee seen the last of Sting? The most obvious choice – Sting will turn 57 by the time Wrestlemania comes calling and his best days are definitely behind him. 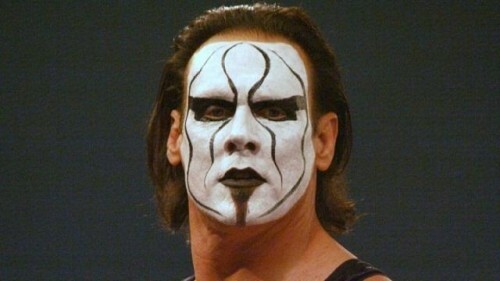 Sting’s WWE run has seen him compete in just two full-scale singles matches and he lost both. More importantly, in the latter match against Seth Rollins, Sting suffered a neck injury and barely completed the bout. Sting is currently out of action to undergo surgery for cervical spinal stenosis, the very condition that led to the retirement of Stone Cold Steve Austin and Edge when they were more than a decade younger than the Vigilante. It is highly probable that we have seen the last match of Sting or he might just have that one dream match with the Undertaker at the upcoming Summerslam. Either way, Sting still wrestling in 2017 is a longshot. Could pregnancy mark the end of Rosa’s career? Rosa Mendes has been with the WWE since 2006 – having wrestled in the developmental territories till 2008 before debuting on the main roster as the intern of Beth Phoenix. Despite managing Primo and Epico to a WWE tag team championship run, she has never been in a renowned angle and has rarely competed in the ring. Angles with The Miz, Adam Rose and Fandango all ended disastrously for the Canadian. The reason Mendes might not step back into a wrestling ring again is because she is currently on maternity leave. At 36, there is little time for Mendes to improve her wrestling skills and the upcoming member to her family might dissuade her from even trying. With a new generation of Divas including the likes of Charlotte, Sasha Banks and Paige bringing more focus on the wrestling abilities of the Divas, we might well have seen the last of Rosa. 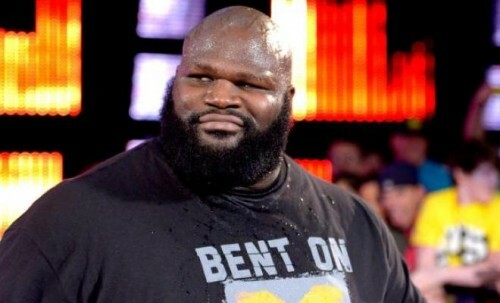 2016 will mark the 20th anniversary of Mark Henry signing a contract with the WWE. The former powerlifter has had a number of personas and has been pushed to the skies and dropped to the ground (figuratively) in the company over the years. Henry finally won the World title five years back and that would have felt great for the once ‘Sexual Chocolate’ who has been part of fairly ridiculous angles in the company. Henry hasn’t wrestled since July and might not find the motivation required to have another go in the ring. He has also openly talked about retirement and that he would like to go out with a retirement match. “I'm not sure yet but it's imminent. It's coming." – Henry said about his retirement in September last year. Dustin Rhodes aka Goldust made his WWE debut in 1990. The current WWE World Heavyweight Champion Roman Reigns was a five-year-old toddler then!!!!! One of the integral members of the Attitude era, Goldust has made several departures and subsequent returns to the WWE. He recently returned to the active roster after undergoing shoulder surgery and is wrestling every week – which might cause the 47-year-old veteran to call time on his in-ring career. Goldust has not risen to the heights of Undertaker or Sting to have just a couple of matches a year and it means that Rhodes has to wrestle practically every week. This is not going to help his ageing body and even though his ring work is still good, another injury might change all of that. Goldust had acted as a backstage producer a few years ago which might also signal a change in direction of his career. Undertaker: time for the last stand? 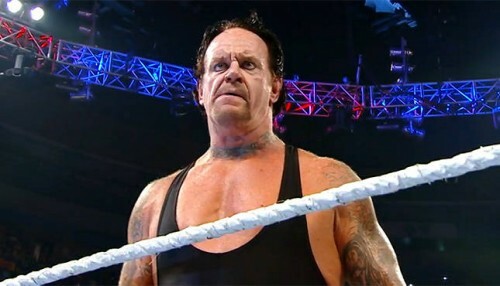 At 50 years old, The Undertaker is the second oldest wrestler in the WWE right now. That dream match with Sting might happen sometime this year, but the Undertaker has basically faced and beaten every tenured superstar in the WWE. The creative would not take the drastic step of having Taker lose to a young gun like Roman Reigns at this stage of his career and the Phenom would be featured only in marquee matches. His reunion with Kane to demolish the Wyatt family was basically a nostalgia trip more than anything else and the injuries might just force the Deadman to call time on his career sooner rather than later. He can easily go on for a couple more years with the limited schedule that he currently has, but sometime along the way, Mark Callaway has to listen to his body – it might just be sometime in 2016.